This is another case that I’ve found where Donna’s notes, or the newspaper articles, regarding Donna’s show are incorrect. 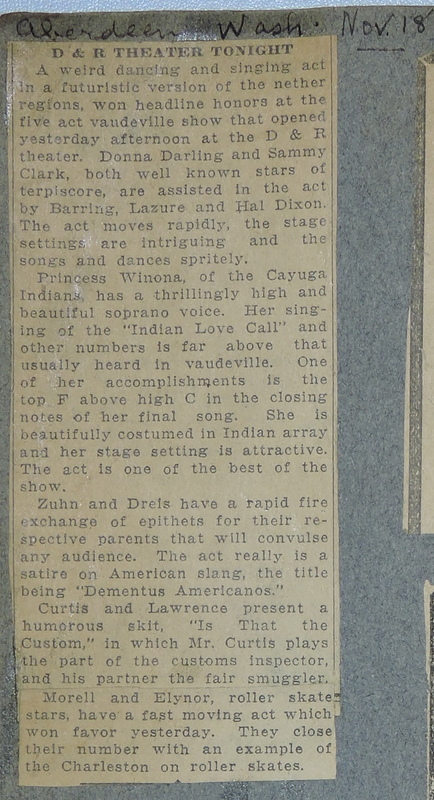 Regarding her playing at the D&R Theatre in Aberdeen, Washington, her note clearly identifies the clipping as being from Nov. 18. However, the article says that she opened “yesterday afternoon.” The D&R ¼ page ad indicates that she was showing Tuesday and Wednesday. November 18th 1926, was a Thursday which indicates that something was wrong. If the clipping were from November 17th, all would be good. A weird dancing and singing act in a futuristic version of the nether regions, won headline honors at the five act vaudeville show that opened yesterday afternoon at the D & R theater. Donna Darling and Sammy Clark, both well known stars of terpiscore[i], are assisted in the act by Barring, Lazure and Hal Dixon. The act moves rapidly, the stage settings are intriguing and the songs and dances spritely. 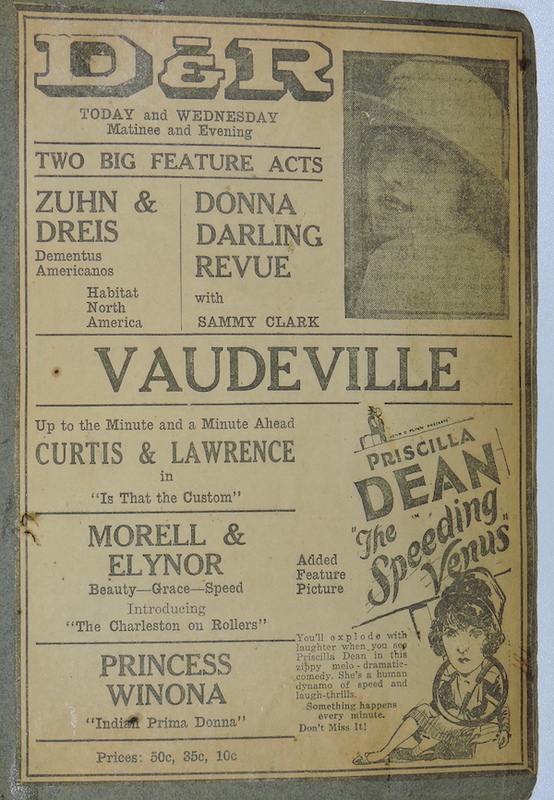 November 16-17, 1926 – Aberdeen, Washington – D & R Theater – Donna Darling Revue with Sammy Clark. This show fits nicely between their show in Olympia, Washington, on November 12-13 and Anaconda, Montana, on November 24th.